Here's a two for Tuesday card. 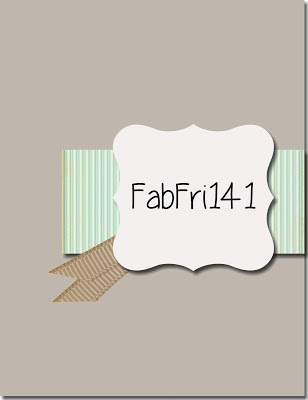 First, the TGIF Challenge#170-Repeat After Me theme, here. 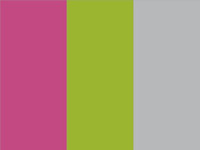 And the colors for Fab Friday#142 here. 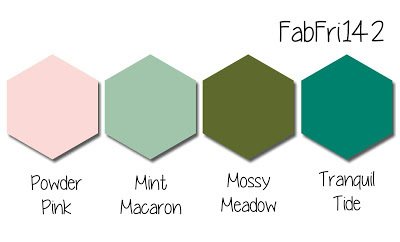 The colors to use are Powder Pink, Mint Macaron, Mossy Meadow and Tranquil Tide. 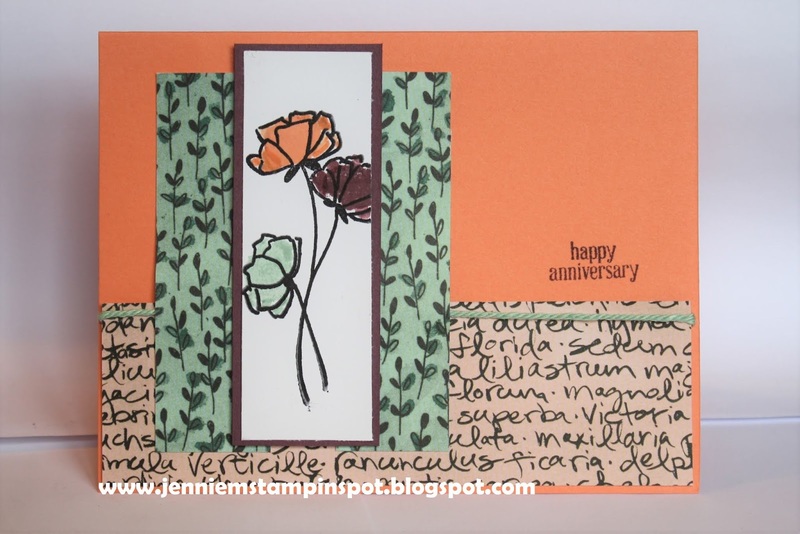 Abstract Impressions is the stamp set and I just used the repeat technique in both the same and different colors and different stamps. 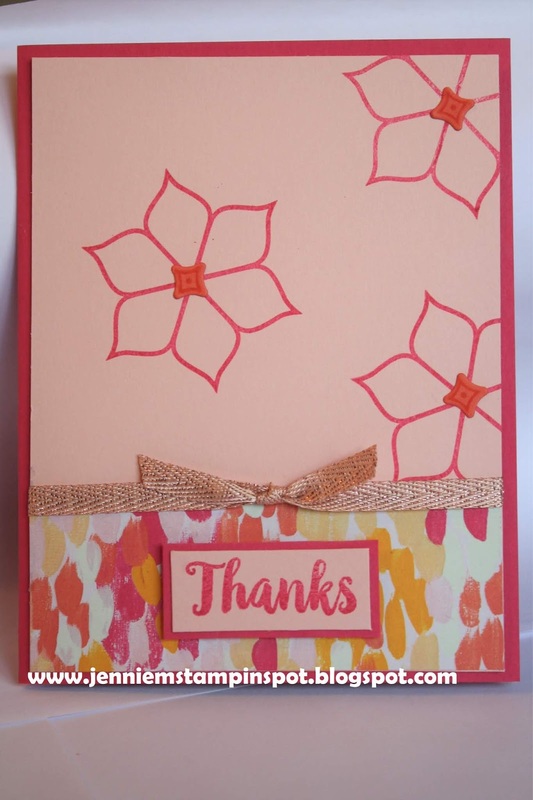 I also used a bit of the Neutrals 6 by 6 DSP. 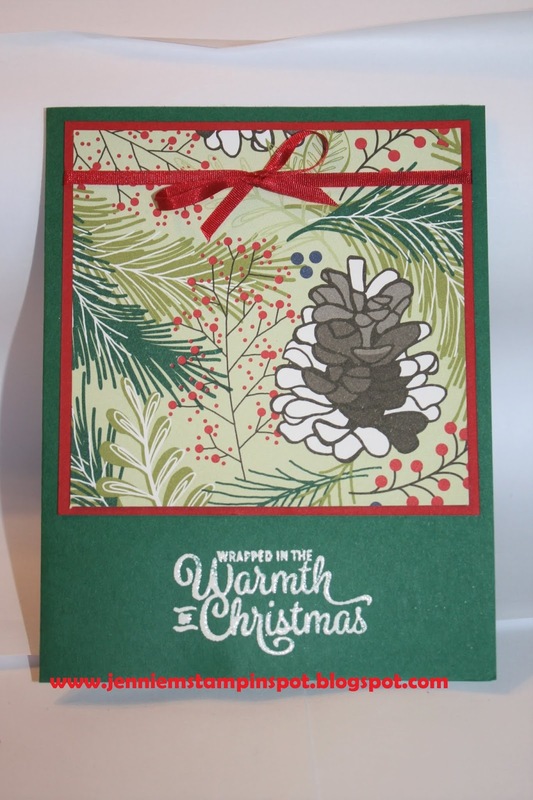 This Christmas card uses the Case this Sketch#282 here. Here's a double-duty card. It's for a sketch and a color challenge. First, the sketch is for the Freshly Made Sketches#347 here. 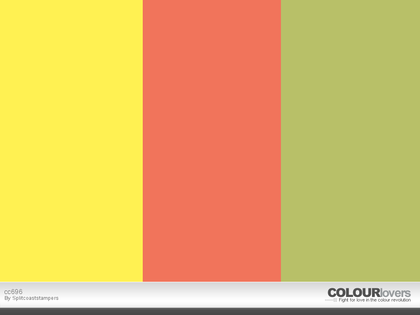 And second, the colors are for the Splitcoast Color Combination#697 here. The colors to use are Berry Burst, Granny Apple Green and Smoky Slate. 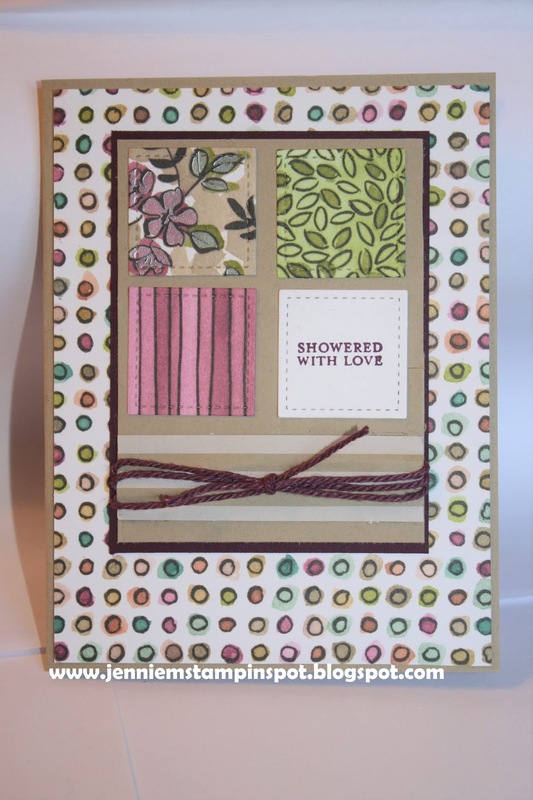 At Home With You is the stamp set along with the coordinating At Home Framelits. 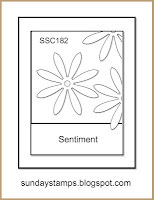 There's also a bit of the Tropical Escape DSP and the Neutrals 6 by 6 DSP. 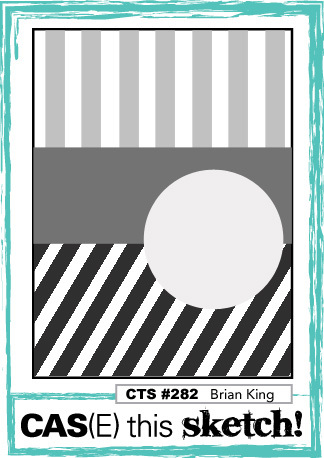 This is my take on The Paper Players#402-CAS-Negative Space, here. 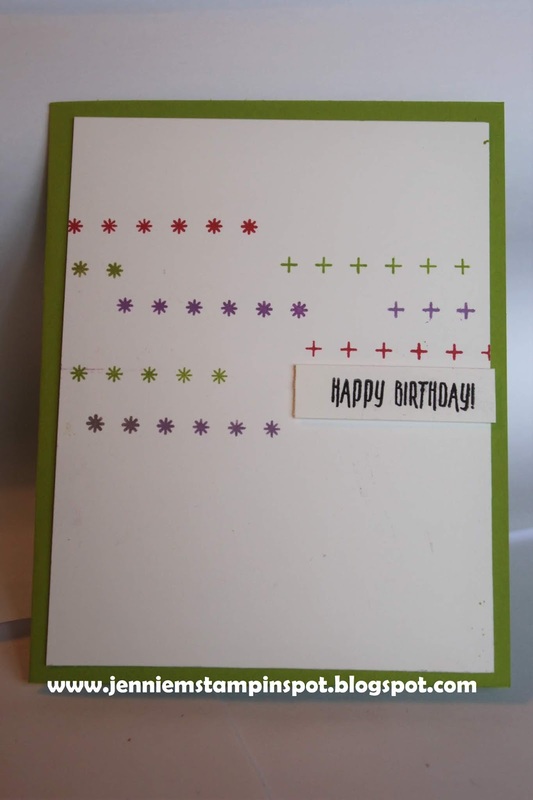 Since I had the the Broadway Bound Suite out from my last card, I used it again for this birthday card. 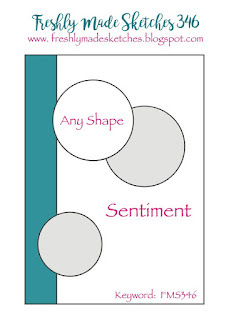 I created my negative space by running a bit of Gray Granite thru the Big Shot with the Layering Ovals Thinlit. 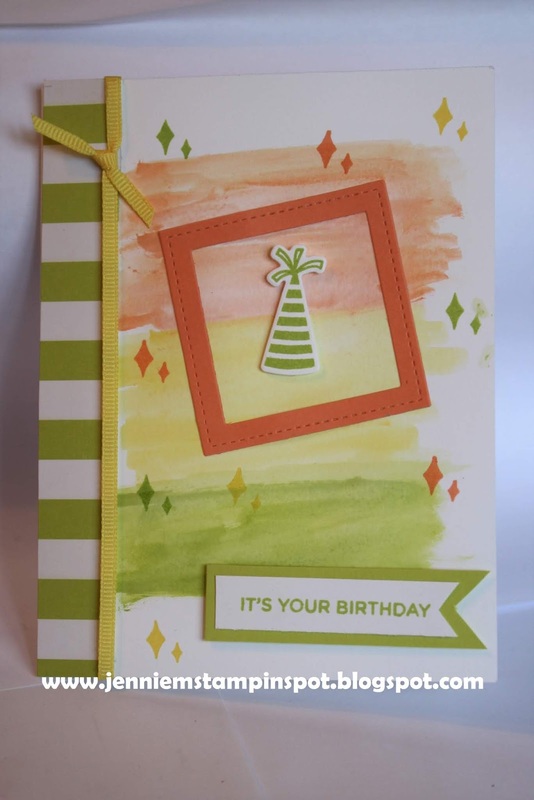 Broadway Birthday is the stamp set with some Broadway Bound Specialty DSP and the coordinating Broadway Lights Framelits. 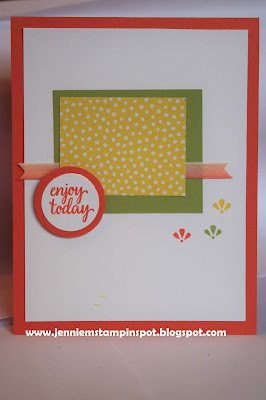 This birthday card is for the Sunday Stamps#183, Tranquil Cottage Colors, here. 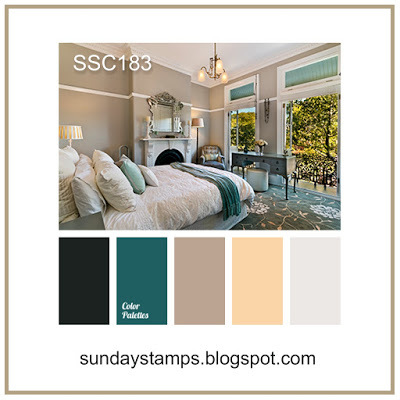 I focused on Tranquil Tide for the blue/green, So Saffron for the yellow and Crumb Cake and Whisper White for the neutrals. 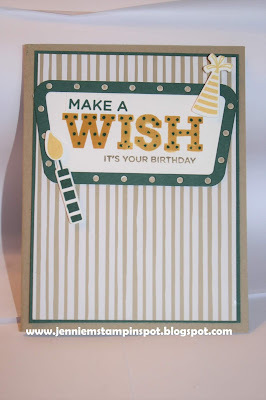 Broadway Birthday is the stamp set with the coordinating Broadway Lights Framelits. 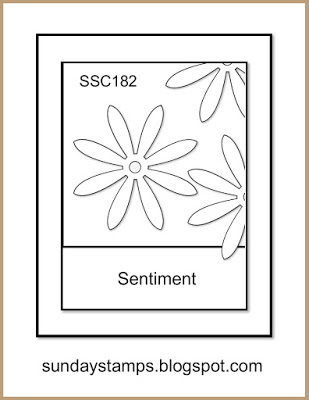 And there's some Neutrals 6 by 6 DSP. 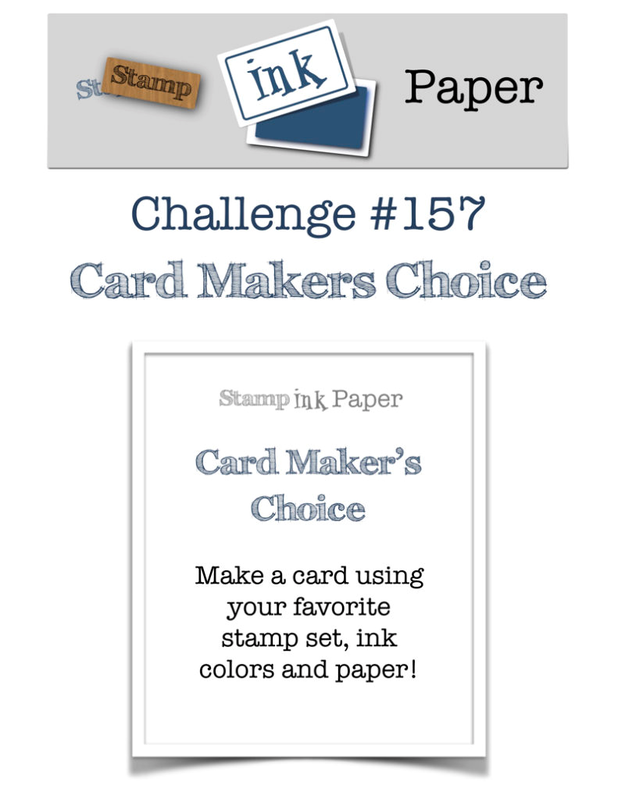 This is my take on the TGIF Challenge#169 here. It's a technique challenge, In the Heat of Summer-Heat Embossing. 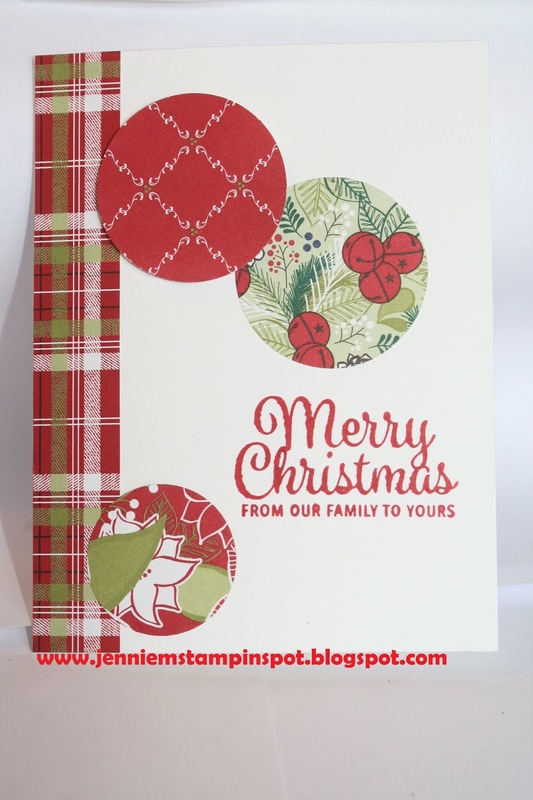 I heat embossed the greeting on this quick Christmas card. 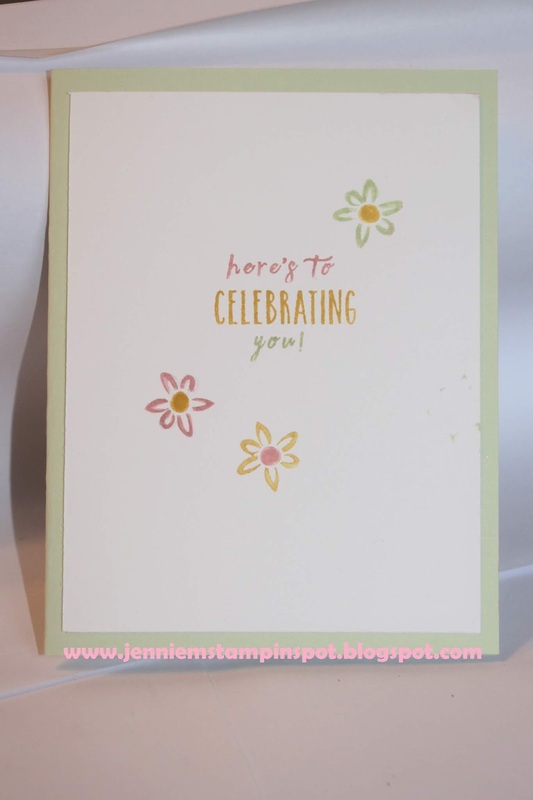 This soft celebration card is for two challenges. First, the sketch at Case this Sketch#281 here. 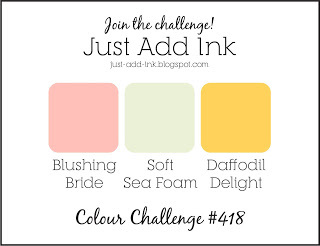 And second, the colors for Just Add Ink#418 here. 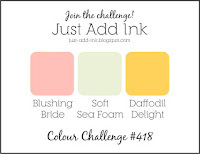 The colors to use are Blushing Bride, Soft Sea Foam and Daffodil Delight. 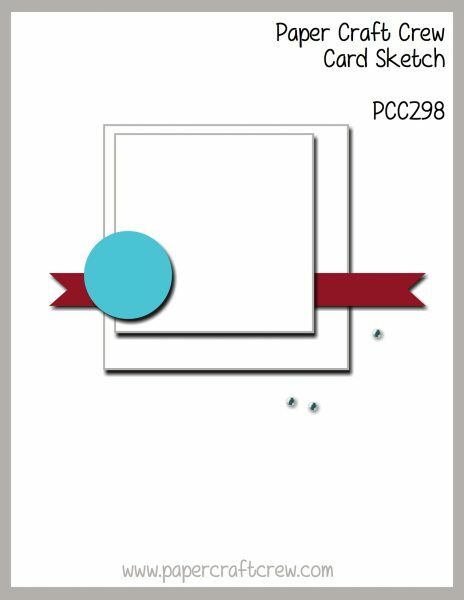 Pretty combo but outta my comfort zone! 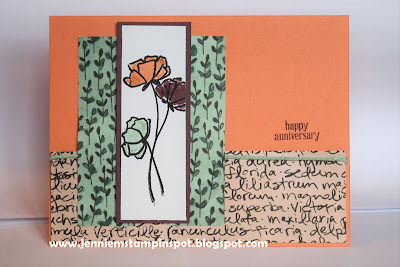 Perennial Birthday is the stamp set. 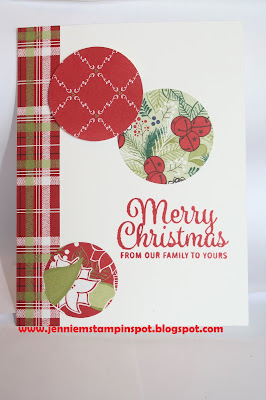 Here's another Christmas card for a sketch. This one is for the Freshly Made Sketch#346 here. 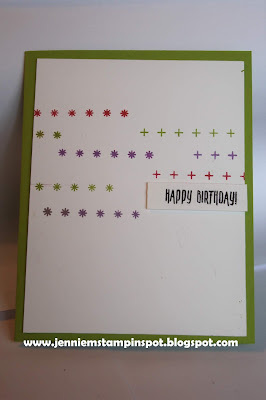 It's very similar to yesterday's card! Again, perfect for showing off DSP! 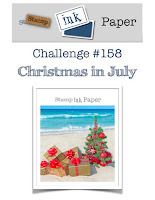 This is my take on the sketch at TGIF Challenge#168 here. I really like this sketch because I can show off DSP! 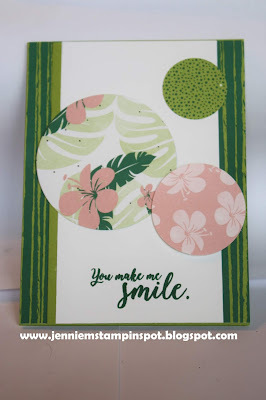 I used the new to me, Tropical Escape DSP (that's on sale) and the Colorful Seasons stamp set. 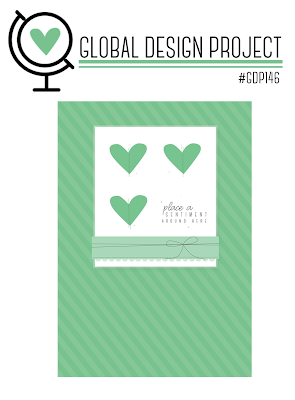 This is my take on the Global Design Project#147 here. 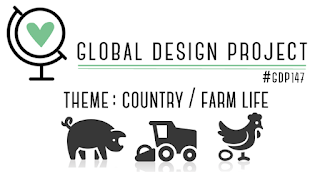 It's a theme challenge of Country/Farm Life. 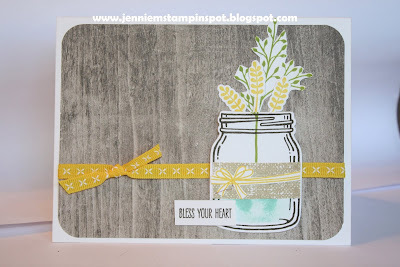 I immediately thought of the Wood Textures DSP and the Jar of Life stamp set. I see this jar filled with wild flowers sitting on a farm house kitchen counter. And I hear someone saying, "Bless your heart"! 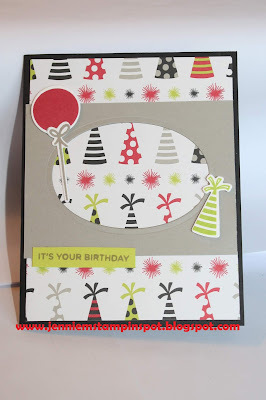 First, the sketch is for the Paper Craft Crew Card Sketch#298 here. 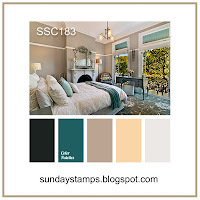 And the colors are for the Splitcoast Color Challenge#696 here. 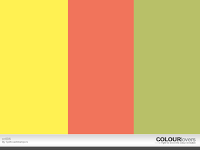 The colors to use are Pineapple Punch, Calypso Coral and Pear Pizzazz. 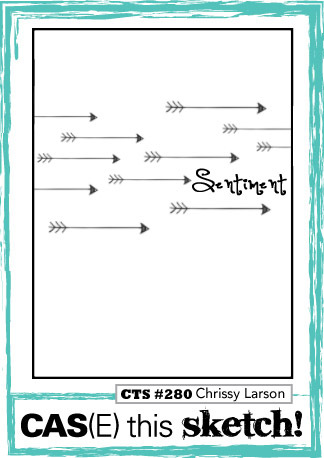 Eastern Beauty is the stamp set with some 2018-2020 In Color 6 by 6 DSP. We are so very blessed to have this vibrant, smart, kind, funny and beautiful young lady in our lives! 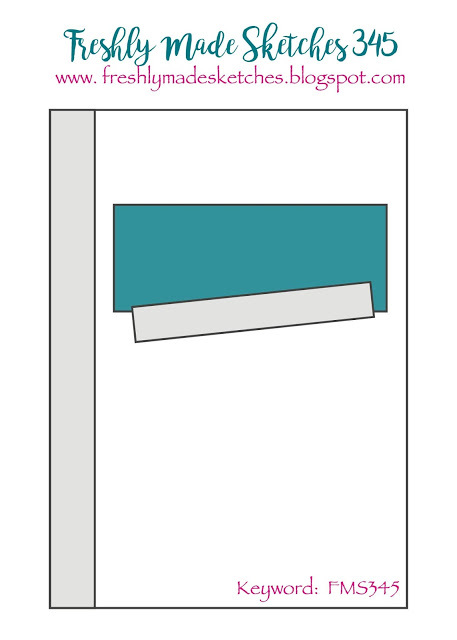 First, I used the sketch at Case this Sketch#280 here. 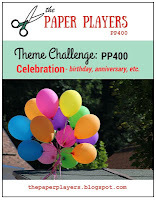 And second, the colors are for The Paper Players#401 here. 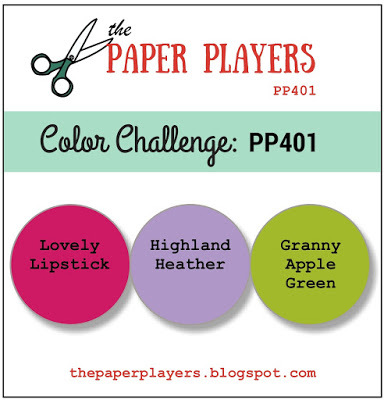 The colors to use are Lovely Lipstick, Highland Heather and Granny Apple Green. 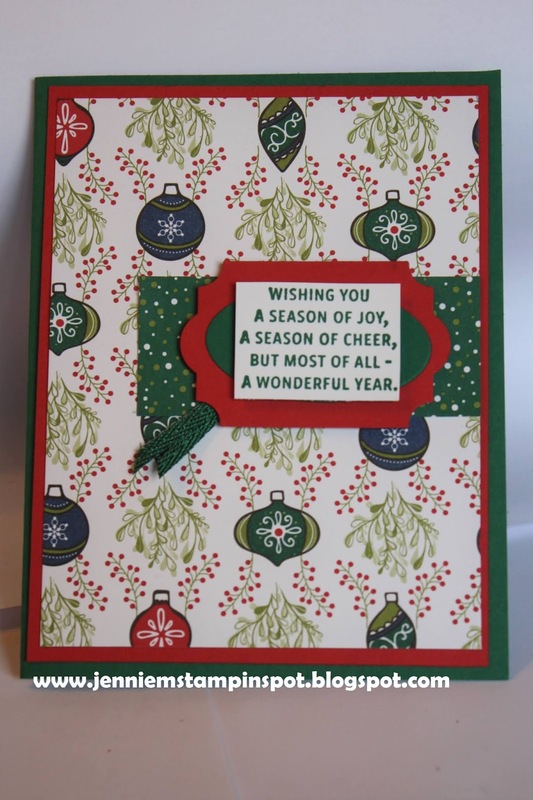 Here's my first of many Christmas cards! 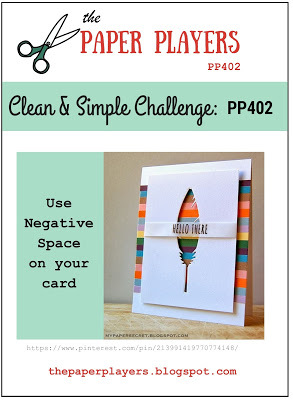 I made this for two challenges. 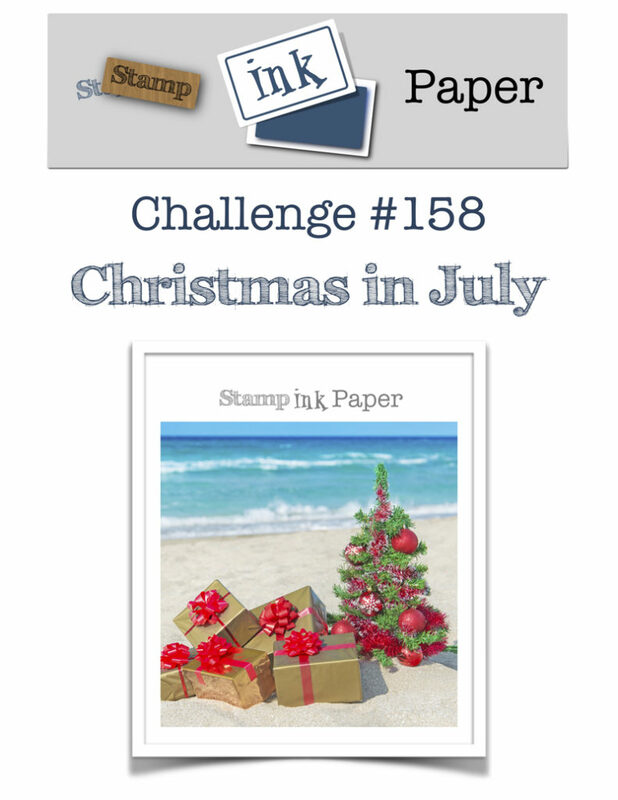 First, the Stamp Ink Paper Challenge#158-Christmas in July, here. 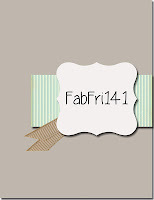 And second, the sketch at Fab Friday#141 here. 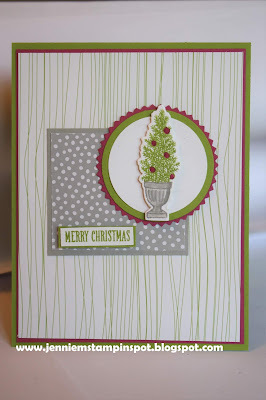 I ordered some Under the Mistletoe DSP that's on sale so I had to play with that. Last graduation card for 2018! 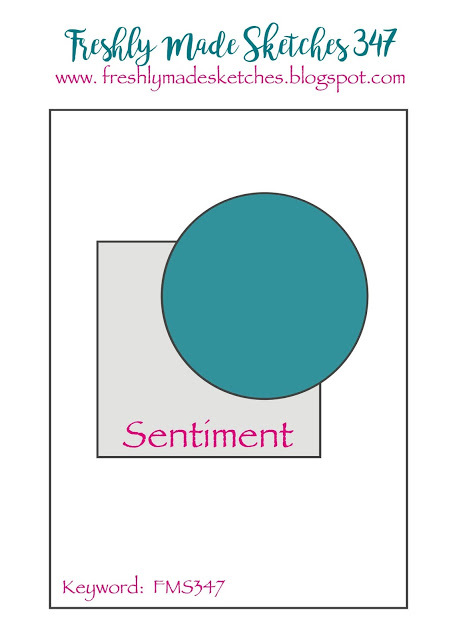 For this one I used the Freshly Made Sketch#345 here. I also used the graduates' new school colors: Merry Merlot and Daffodil Delight. Broadway Birthday and Itty Bitty Greetings are the stamp sets with a bit of the Neutrals 6 by 6 DSP. I also added a bit of color to the WW background using the marker flick technique where you flick the end of the markers off of the cap and there's little splatters on your paper. First, the colors are for TGIF Challenge#167 here. 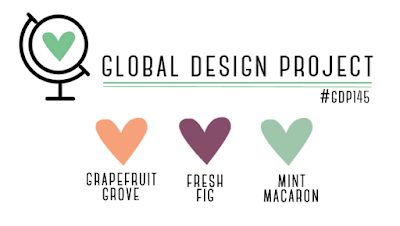 The colors to use are Grapefruit Grove, Pineapple Punch and Lemon Lime Twist. 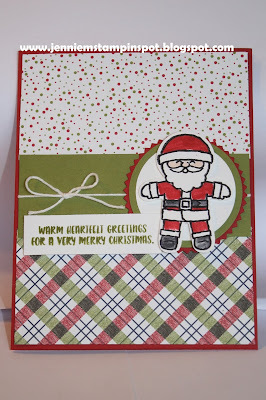 This one was a challenge for me but I think this turned out pretty cute! And second, this qualifies for The Paper Players#400-Celebration Theme Challenge, here. Broadway Birthday is the stamp set with some coordinating Broadway Bound Specialty DSP and the Broadway Lights Framelits. 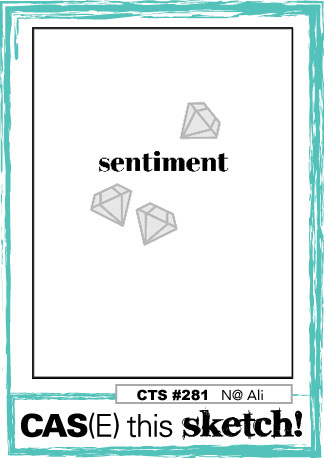 This is my take on the sketch at the Global Design Project#146 here. 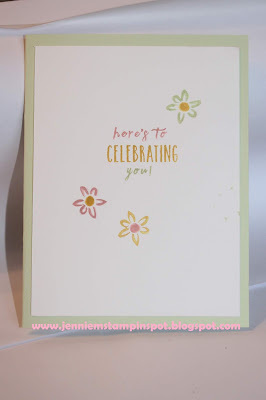 I need a card for a bridal shower this weekend so I used the sentiment from the Itty Bitty Greetings stamp set with some Share What You Love Specialty DSP. 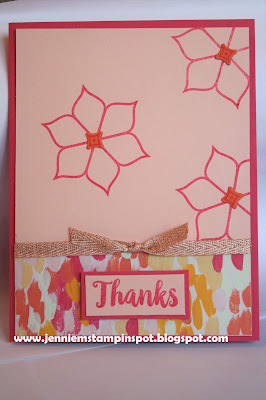 This thank you card is for the Sunday Stamps#182 here. A Big Thank You and Eastern Beauty are the stamp sets with some Garden Impressions DSP. 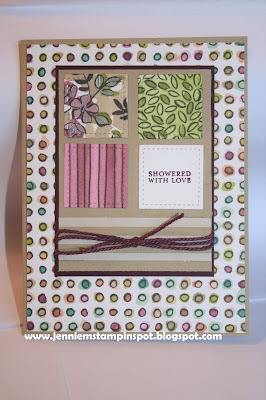 I also used the Eastern Medallions Thinlits and some Metallic Ribbon Combo pack that coordinates with the Garden Impressions DSP. 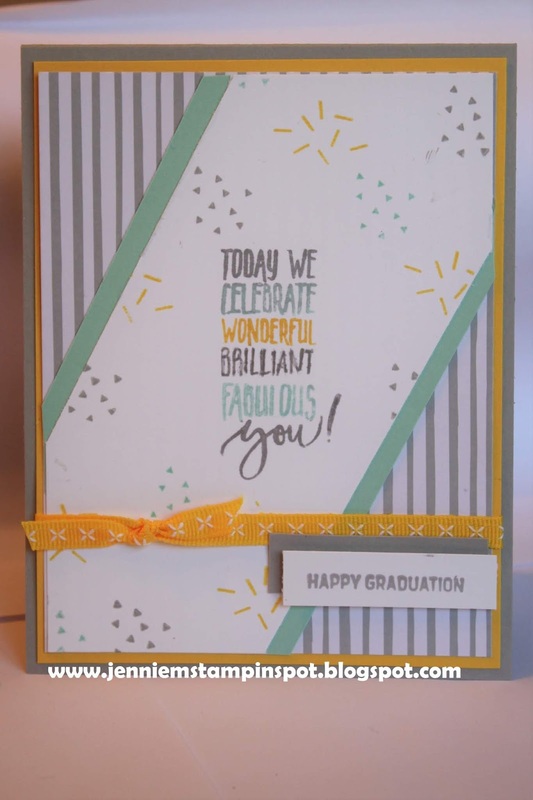 I managed to fit in three challenges for this graduation card. First, the sketch is for the Freshly Made Sketch#344 here. 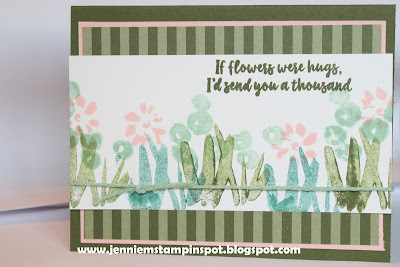 Second, the colors are for Hand Stamped Sentiments#293 here. 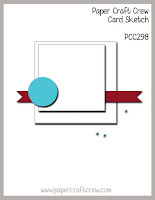 The color to use are Smoky Slate, Daffodil Delight and Pool Party. 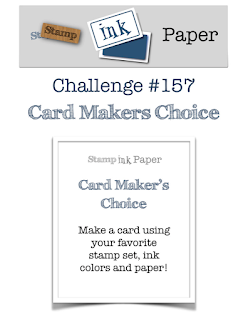 And finally, the challenge at Stamp Ink Paper#157-Card Maker's Choice, here. 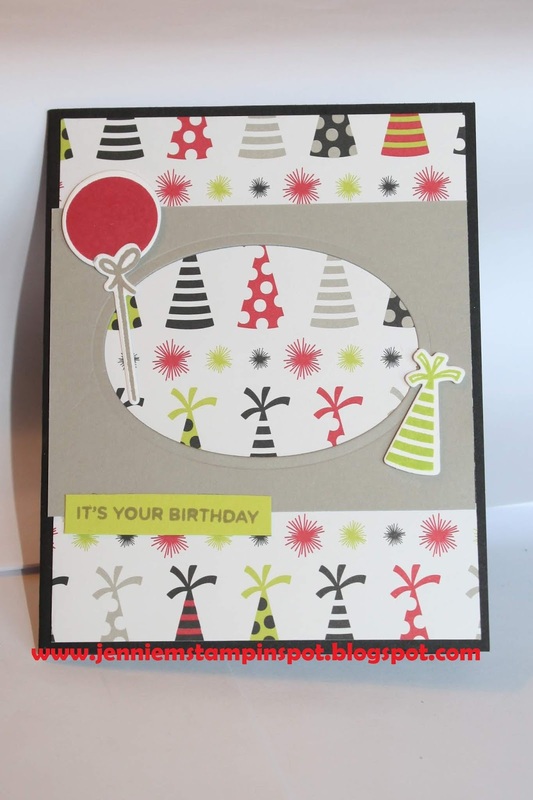 Picture Perfect Birthday and Itty Bitty Greetings are the stamp sets with some Neutrals 6 by 6 DSP. 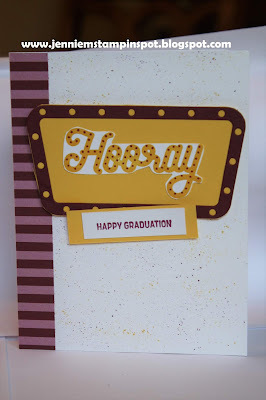 I need a couple more graduation cards so I used the Case this Sketch#279 here for this card. 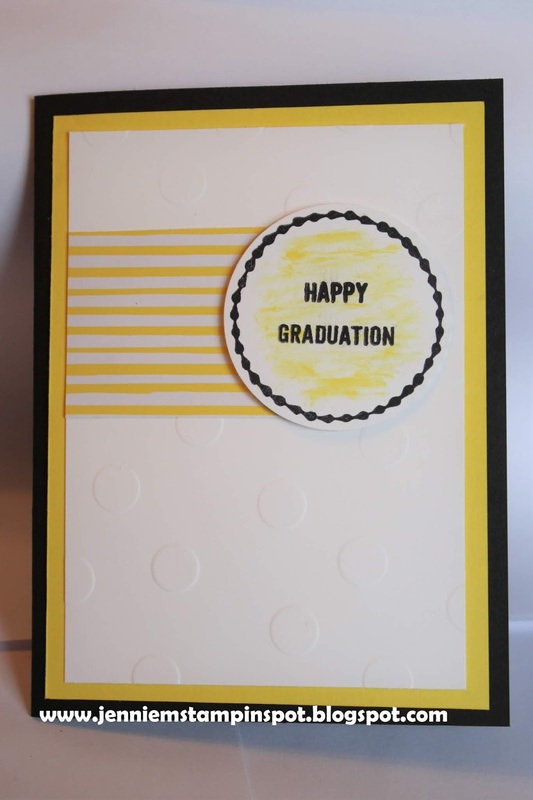 The graduates' new college colors are Black and Gold so I chose to use some Pineapple Punch from the 2018-2020 In Color 6 by 6 DSP. 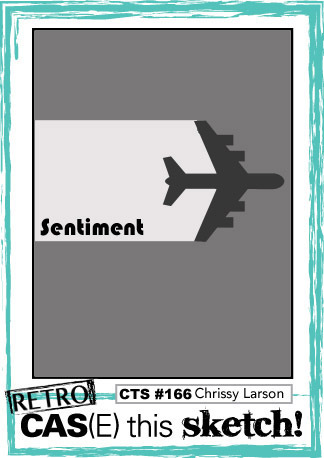 Eastern Beauty and Thoughtful Banners are the stamp sets.